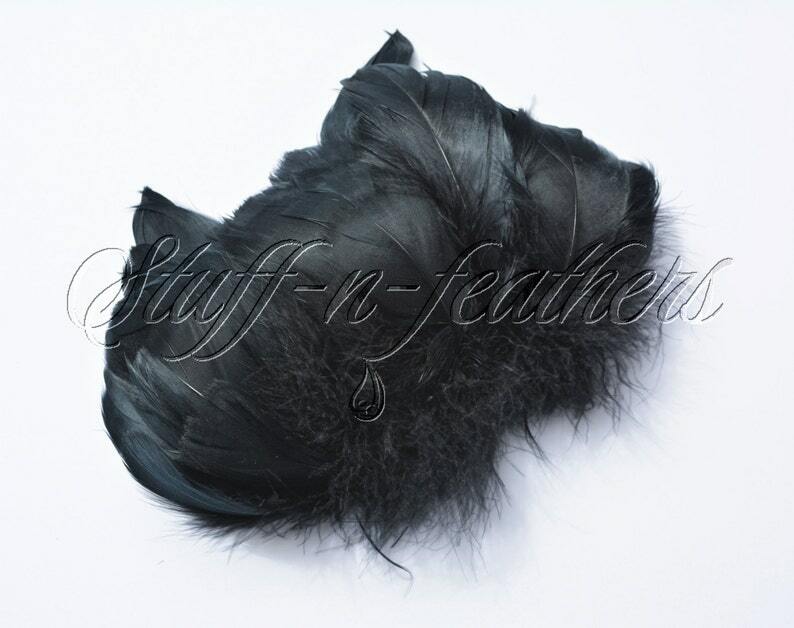 This is a listing for a 3” (7.5 cm) strip of strung premium Goose coquille feathers –black, dyed. There are approximately 30-35 feathers in each bundle. The color is rich and has silky finish. This is a thickly strung feathers - large amount of feathers in a small section. 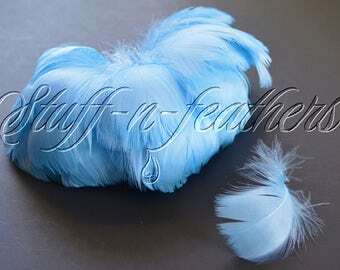 These feathers have rounded top and soft hair. 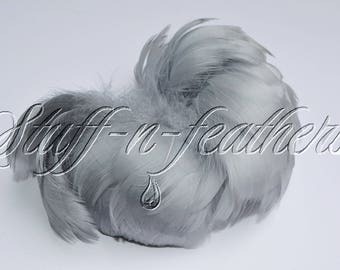 These are very soft and silky feathers that are slightly curled.